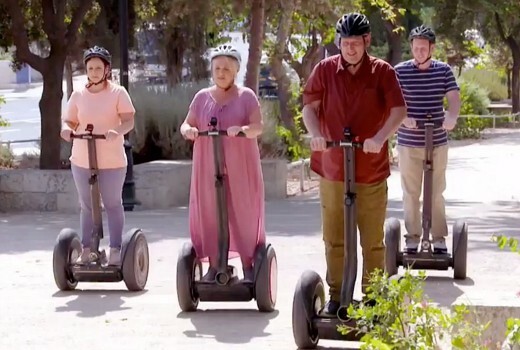 Travel Guides in Israel last night hit an all-time high of 915,000 viewers. The Nine series didn’t just top its slot, it even outranked the numbers for Nine News. Earlier an Al Jazeera documentary on One Nation How to Sell a Massacre drew 595,000 viewers, third in its slot. Married at First Sight was again #1 and topped the demos at 1.23m viewers. My Kitchen Rules was second in its slot at 806,000 up on last Tuesday. 7:30 was third at 665,000. Ambulance Australia drew 415,000 for 10. Nine network won Tuesday with 34.3% then Seven 27.9%, ABC 17.1%, 10 14.6% and SBS 6.1%. Nine News pulled 893,000 / 834,000 for Nine last night followed by A Current Affair (814,000). Hot Seat as 447,000 / 270,000 and True Story with Hamish & Andy was 381,000 / 217,000. Seven News won its slot at 944,000 / 943,000. Home and Away was 638,000 and Manhunt (539,000). The Chase was 530,000 /327,000 with The Resident at 169,000. ABC News (722,000), The Cult of the Family (379,000), Louis Theroux: Dark States (195,000) and The Drum (200,000) comprised ABC’s other shows. The Project (437,000 / 274,000) led for 10. 10 News First was 352,000 then NCIS (285,000), NCIS: LA (227,000 / 132,000) and Pointless (203,000). On SBS it was Great Continental Railway Journeys (180,000), Insight (133,000), SBS World News (117,000) and Dateline (81,000). Andy’s Prehistoric Adventures on ABC KIDS topped multichannels at 149,000. Why was NCIS a repeat? I’ve only started watching, and yeah – really enjoy the remarks between the two. Wonder what the acceptable min. amount of numbers they are after at 6pm. With the new show they’d at least want 300K right? I hate to admit it but i have watched a few of them lately and found the questions quiet good and the banter between the hosts is great, they help make that show. I meant to add maybe its the prime time of 6pm that’s the problem?? Definitely. With 1.8 million people watching 9 and 7 News at that time, there’s not much room for Pointless to squeeze itself in there. Go News Breakfast, really enjoying them. Oh Wow. Only 15,000 between Today and ABC Breakfast.